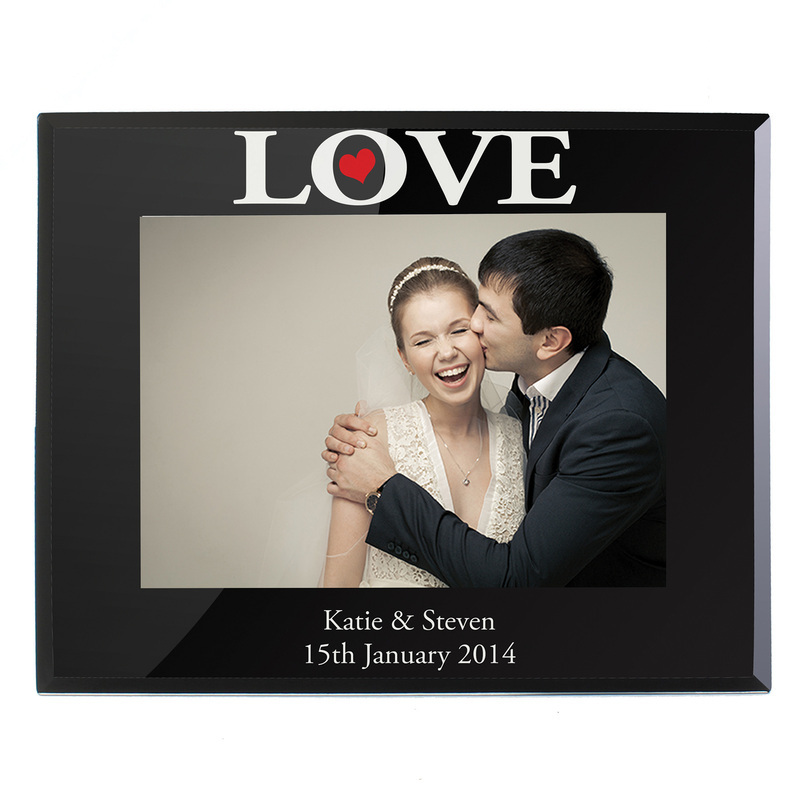 Personalise this Love Black Glass Frame with 2 lines, 30 characters per line. Frame is Landscape and holds a 5" by 7" print. Frame comes with a stand, does not include wall fittings. Perfect for Birthdays, Valentines, Wedding.